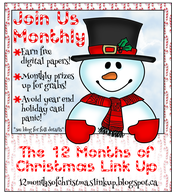 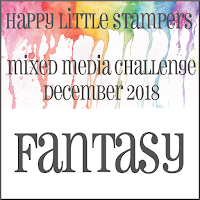 This is a Progressive Challenge where if you play one month you get the next month's Image free. 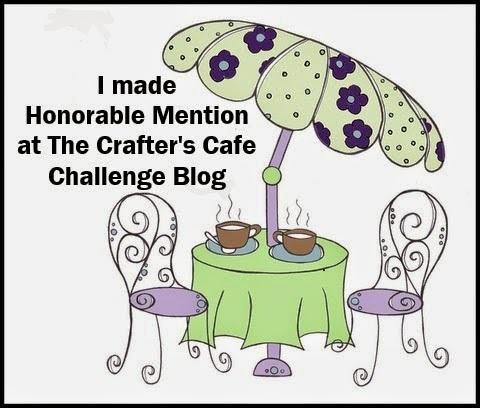 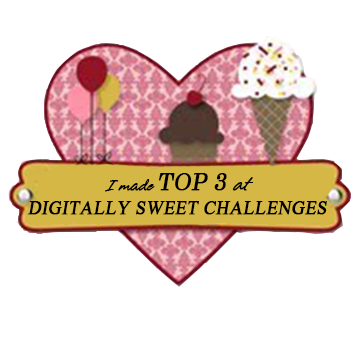 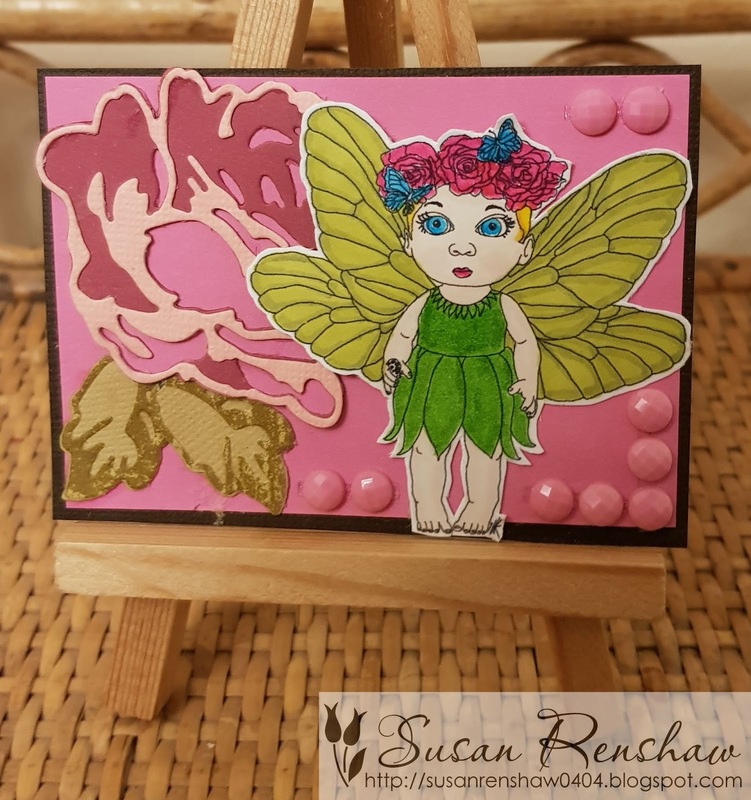 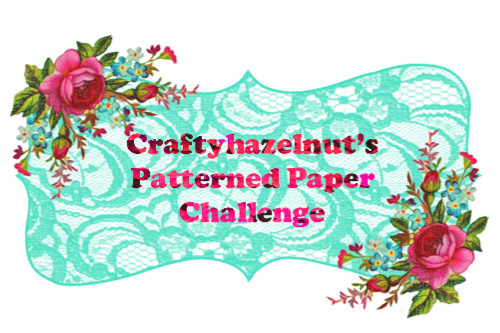 You still have a couple of days to join in the April Challenge using Cute Fairy. I printed the image, coloured it with Zig real brush pens and cut it out. I started the ATC with a brown card matted with pink. 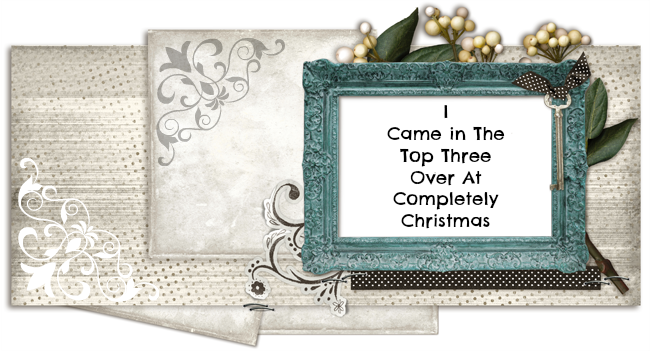 I added the image on top and a few gems. 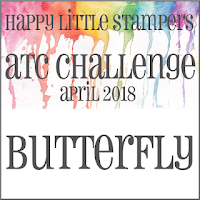 HIMCR #350 - Any Holiday! 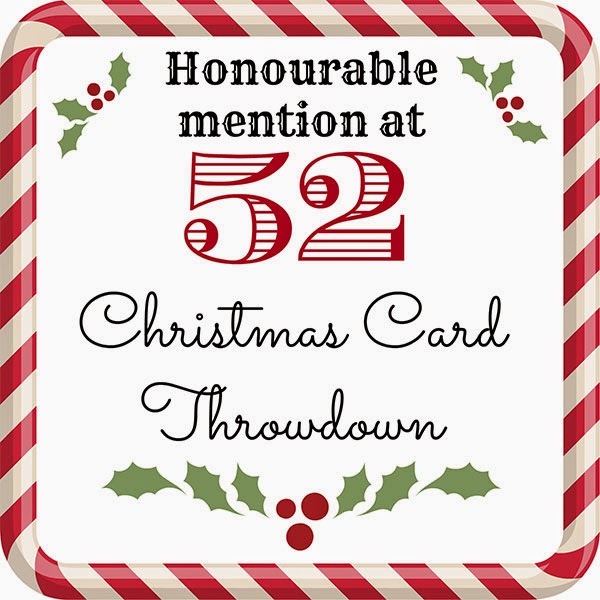 Here's my card for HIMCR #350 - Any Holiday! 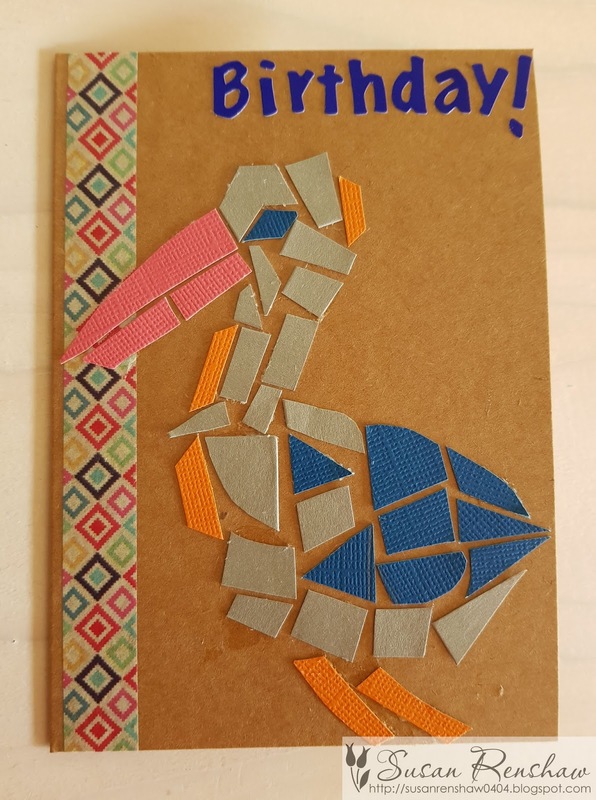 I made it as a Birthday card for a little child. 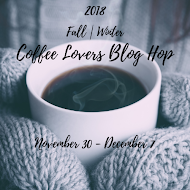 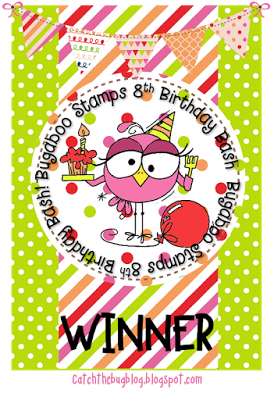 The giveaway is 3 My Besties images - winner's choice! 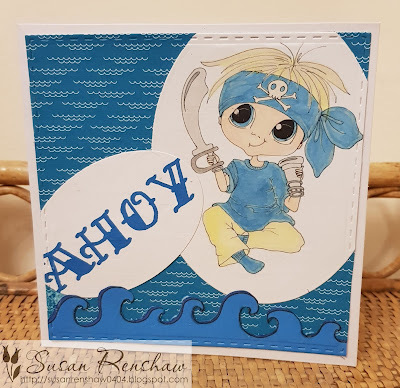 I have used this cute little pirate - printed, coloured with a variety of markers and die cut with an oval nesting die. 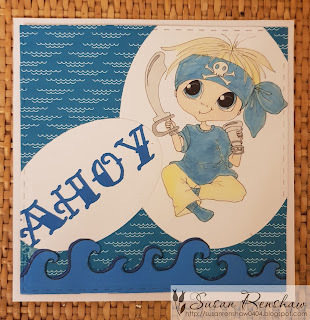 I used a paper, AHOY and a 'wave' from Imagine That Digistamps and combined them all together using another oval die and a stitched square die. 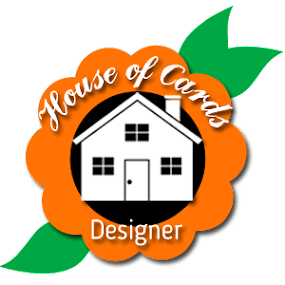 I then added this to a white card base. 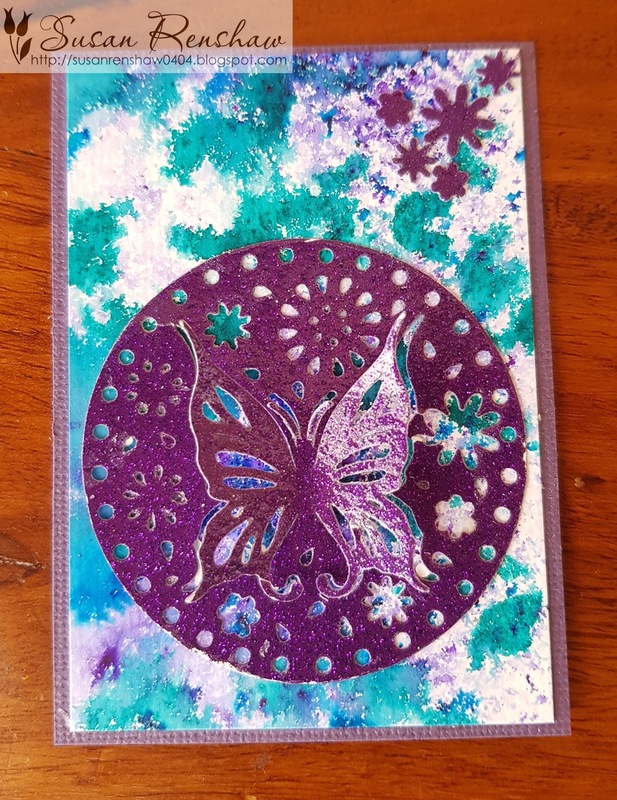 I started with a white card base matted with some sparkly tree paper from my stash. I then used a Tonic die set to build the deer. 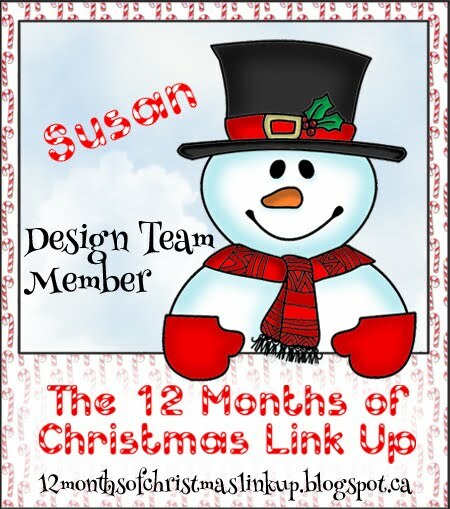 To all my ATC making friends!! and see the fabulous makes from all the DT! 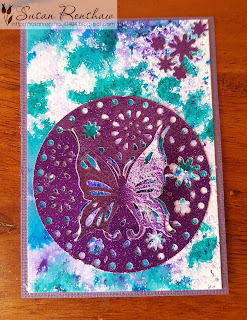 I started with a purple card matted with a Brusho background. I then added the die cut - this is a Crafters Companion die - Circle 3D Butterfly (Signature Collection by Sara Davies) - a win some time ago from Mrs A and the Butterfly Challenge. I used a purple sparkly card to cut this die and added some of the pieces that were cut out to the top corner. Because of the sparkle it was rather difficult to photograph but I hope you get the idea! 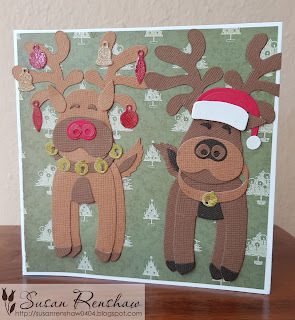 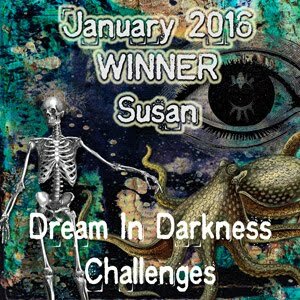 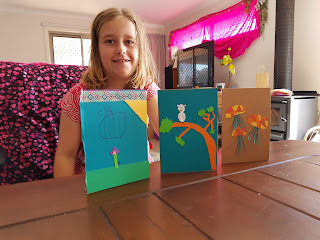 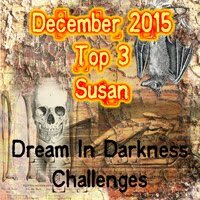 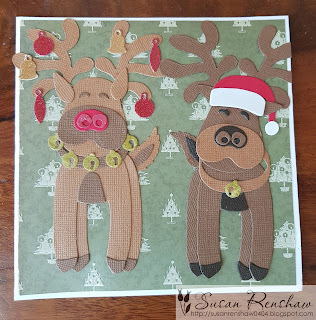 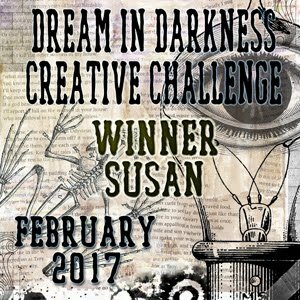 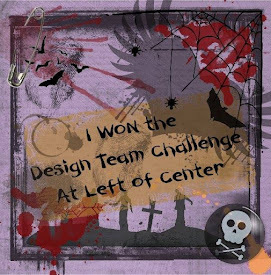 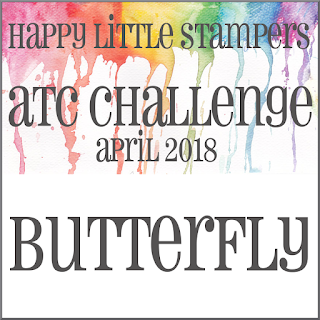 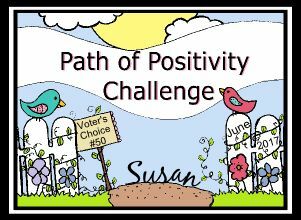 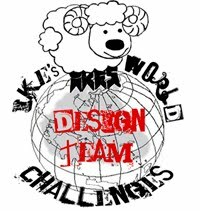 Hope you will join in this ATC Challenge!! 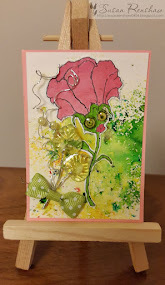 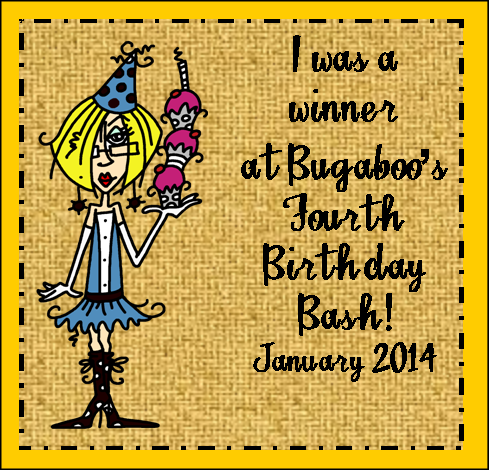 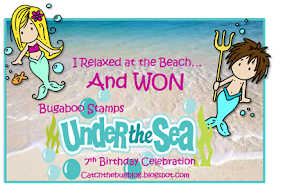 Did you see my Saturday post illustrating this card? 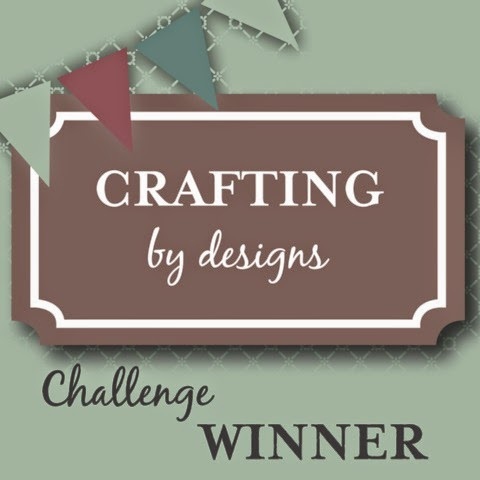 The scroll on here was die cut with the die I recently won in the Butterfly Challenge. 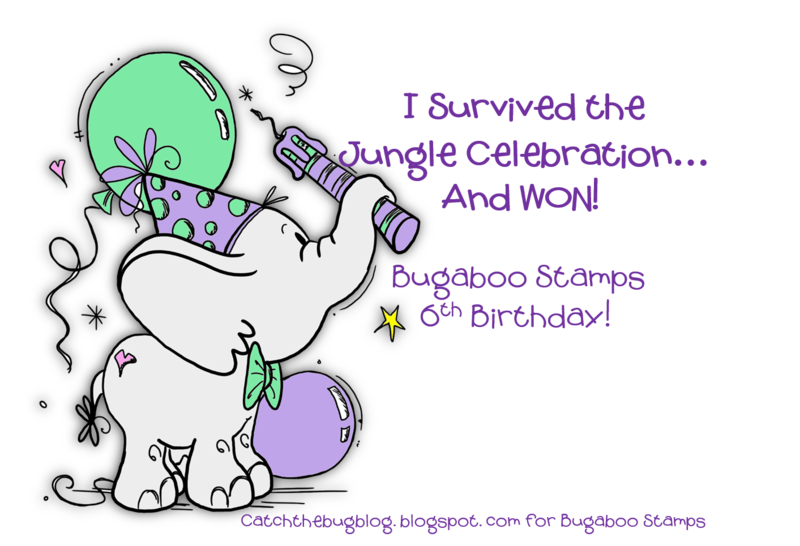 but unfortunately I missed the 8pm deadline! 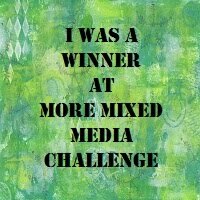 However it seems I am lucky as the challenge has been extended. 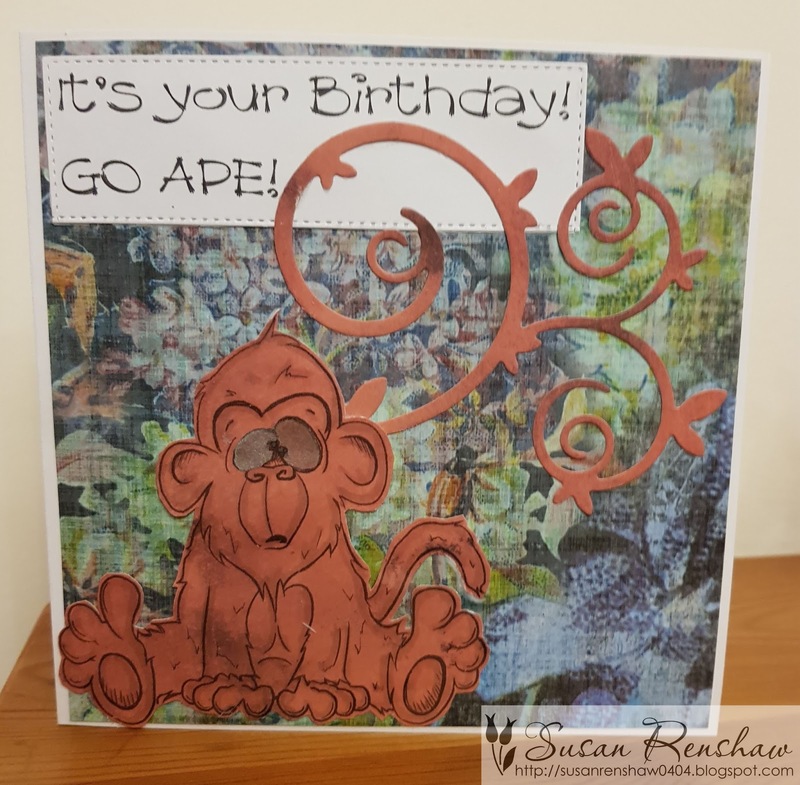 I started with a white card base matted with dark salmon card - I took my card pack and matched a piece with the computer screen! 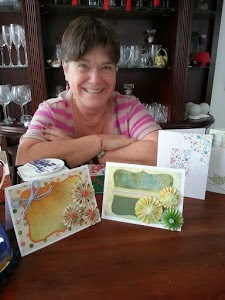 I then had a layer of denim - this time I matched a piece with my jeans. 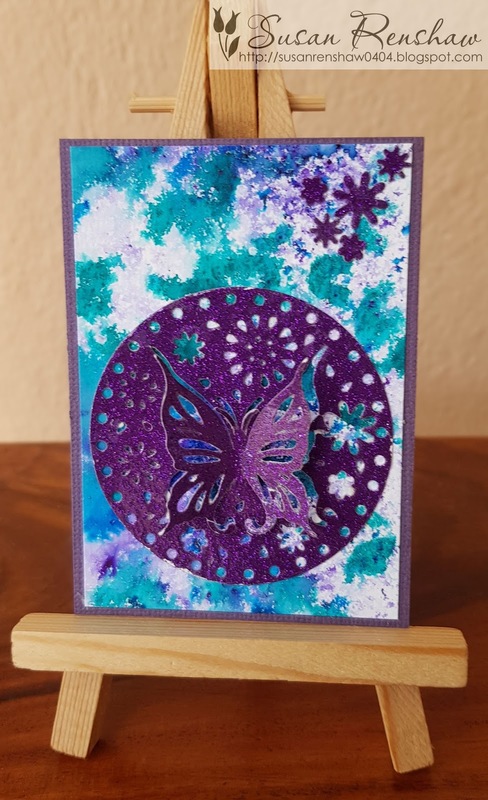 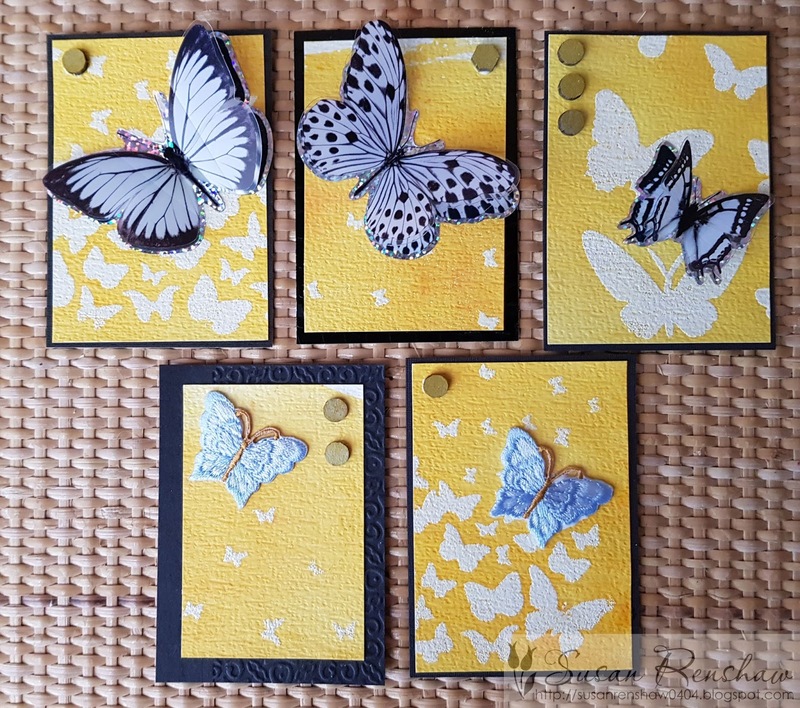 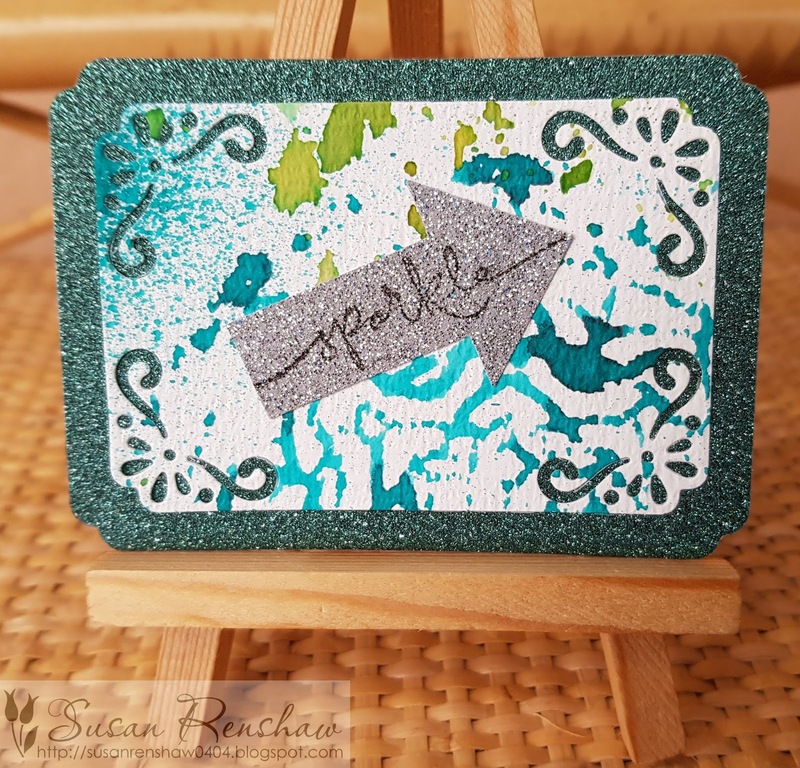 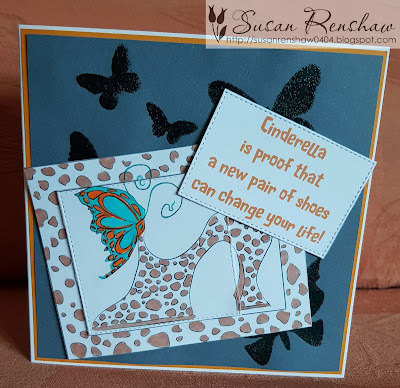 On this layer I embossed some butterflies with 'Midnight Teal' embossing powder, by first adding Versamark through a stencil, shaking on the powder and heat setting it. 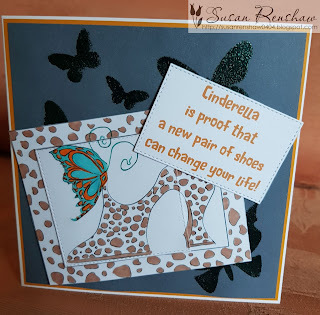 I then found a digi image on my computer - butterfly shoe printable - not sure where it came from I am afraid. 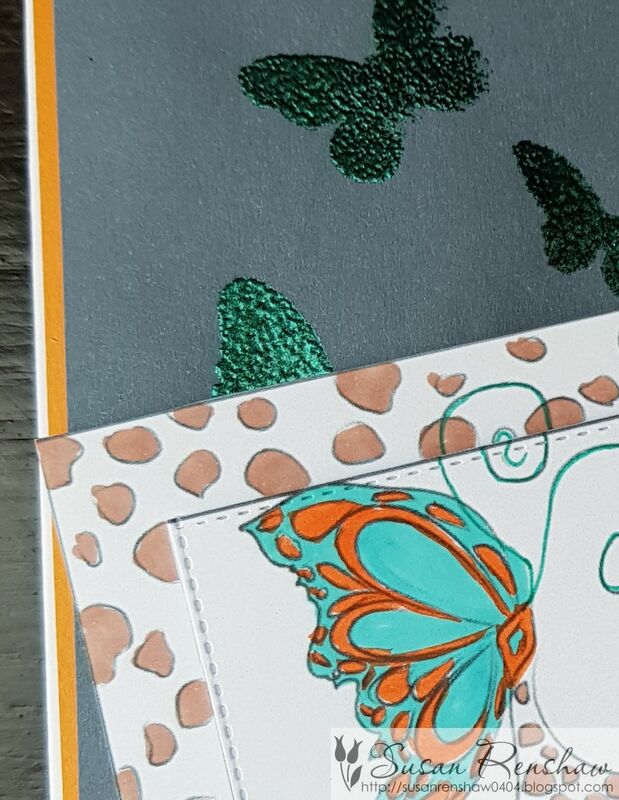 I printed this twice colouring the images with a variety of markers again trying to match the 'dirt' and 'dark salmon' colours and adding teal. 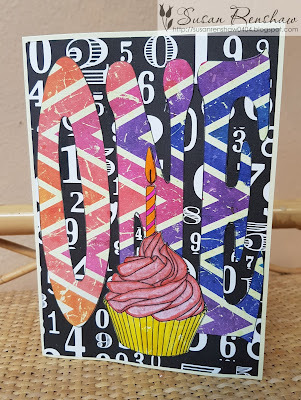 I added the first layer complete on dimensional tape - I added a square of the second piece cut out with a stitched die, again on dimensional tape. 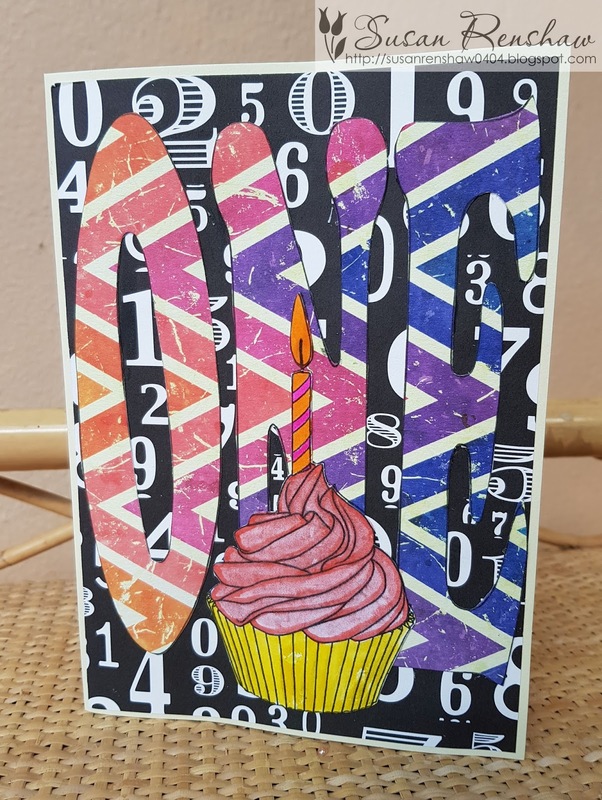 I printed the sentiment on the computer, cut it out with a stitched die and addded it on more dimensional tape. 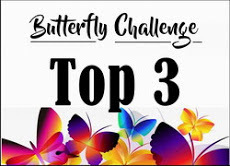 That was all sections of the wheel - I will link this to Butterfly Challenge #99. 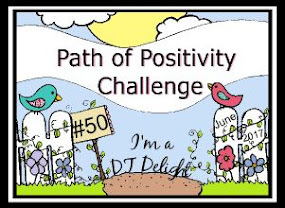 Looking forward to #100!! Happy Crafting! 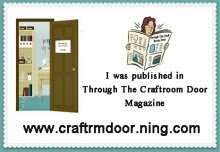 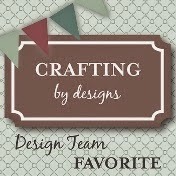 Hiding in my Craft Room #349 - Cutesy! 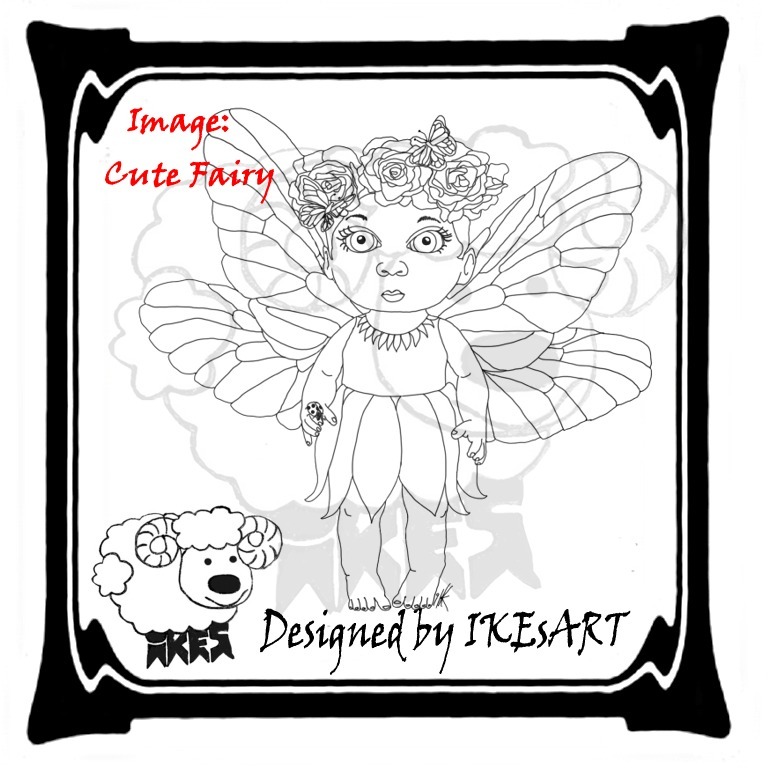 Here's my card for HIMCR #349 - Cutesy! 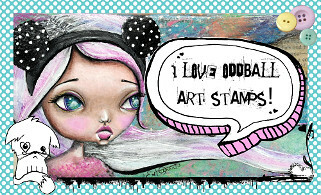 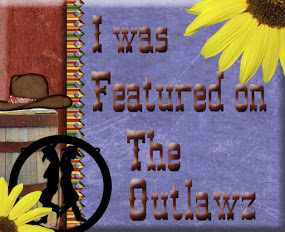 The giveaway is 2 images to Oddball Art! 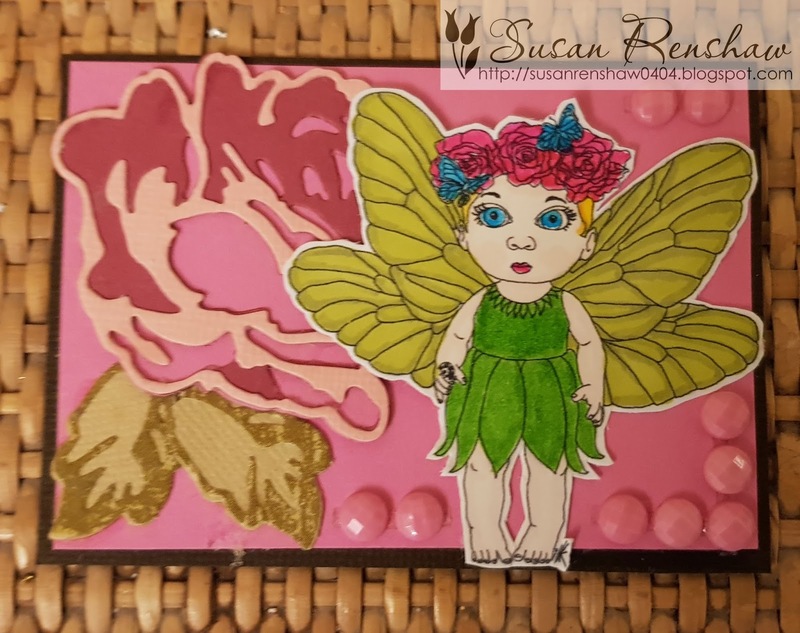 I started with a white card matted with a Tim Holtz paper - I used another TH paper on which to print the image, I cut it out and added some colour with Promarker and Wink of Stella. 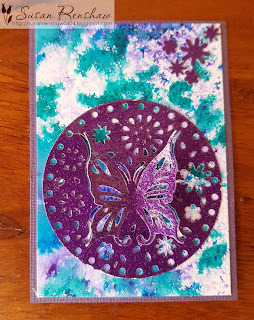 The scroll is a die cut that I won from Mrs A on a recent Butterfly challenge. 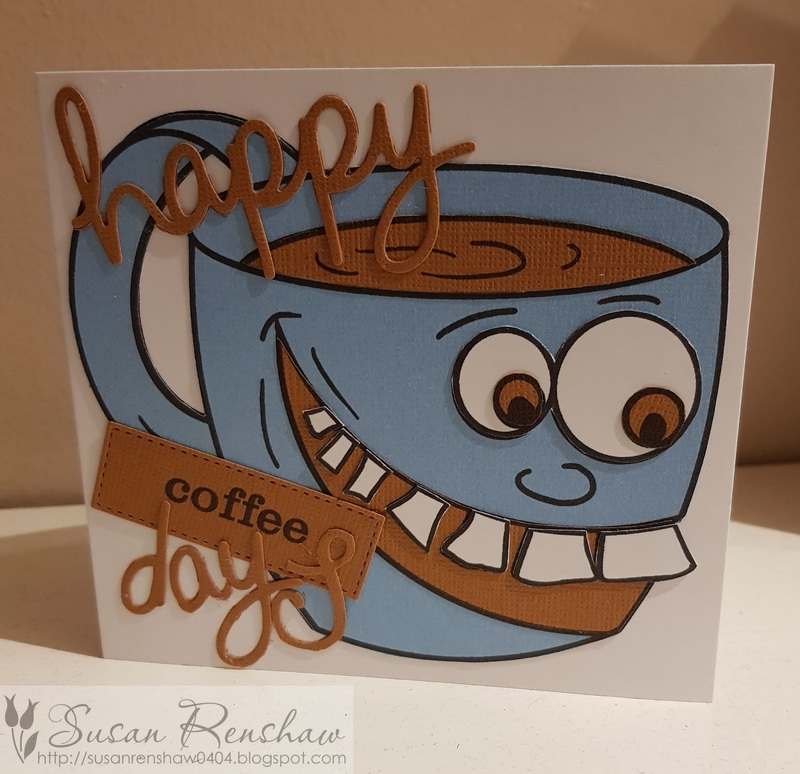 I printed the sentiment on the computer and cut it out with a stitched die. 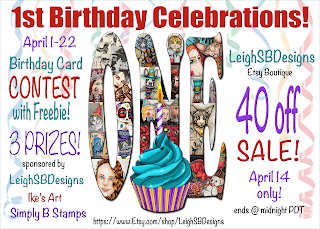 LeighSB Designs 1st Birthday celebrations. 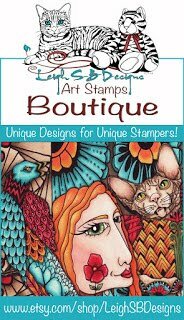 It is now a year since Leigh set up her shop and you will have seen me use many of her fabulous designs in that time. 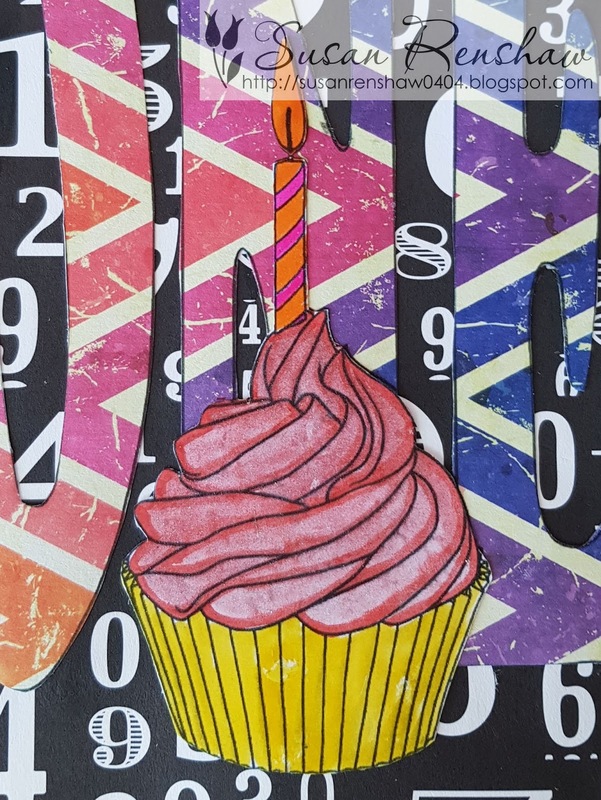 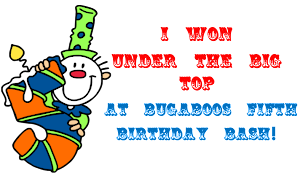 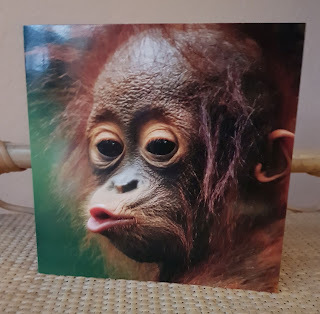 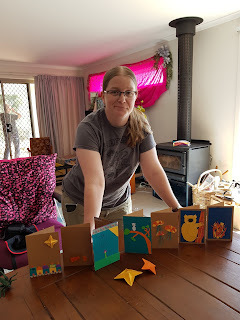 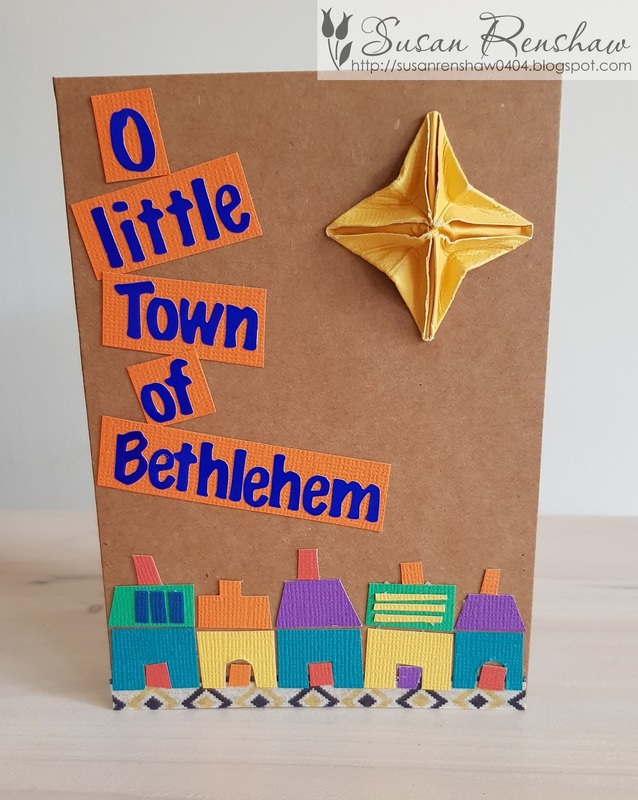 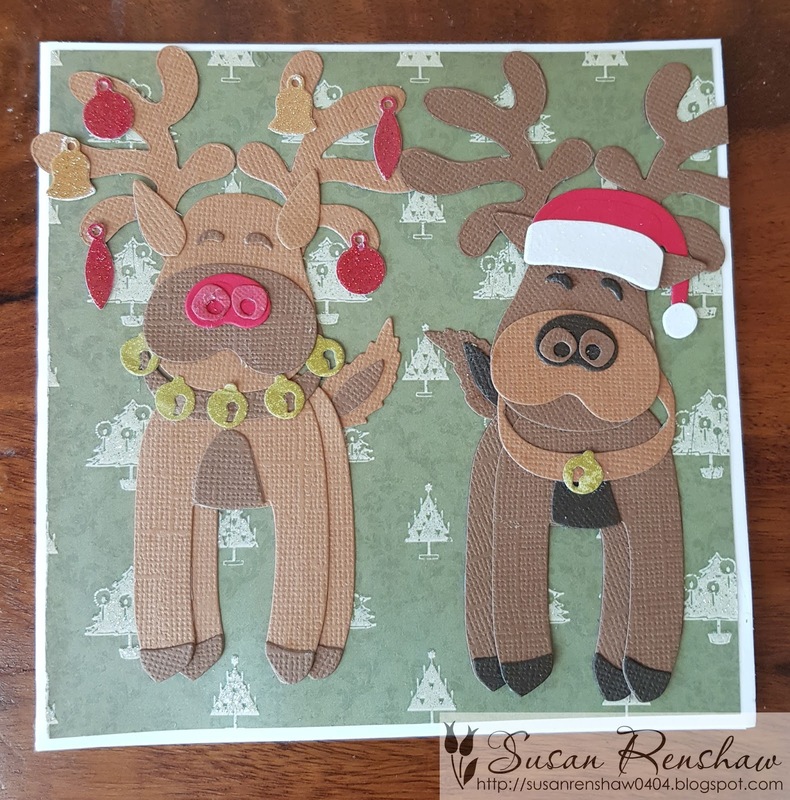 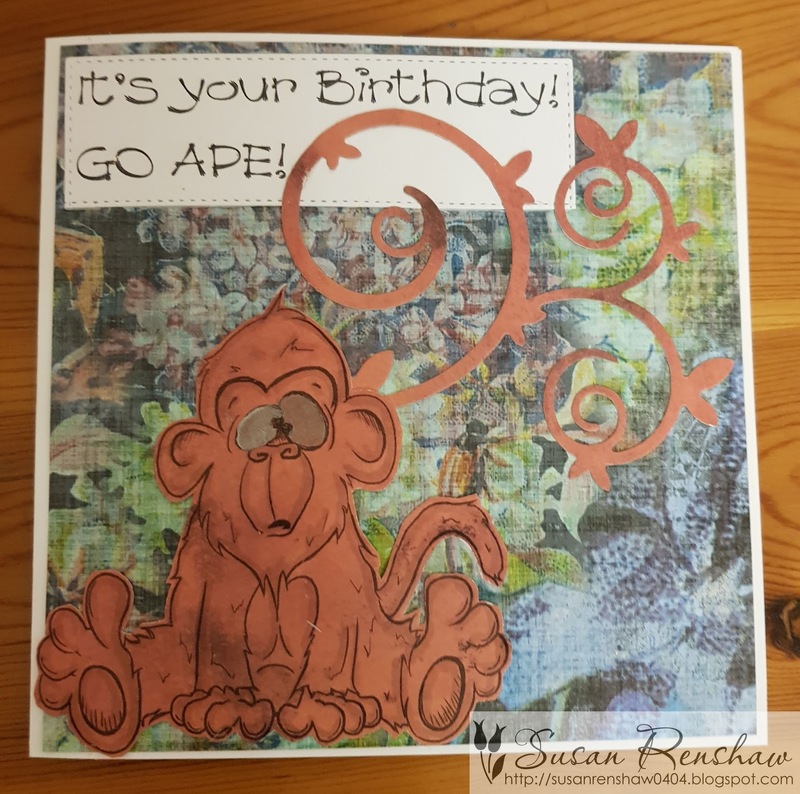 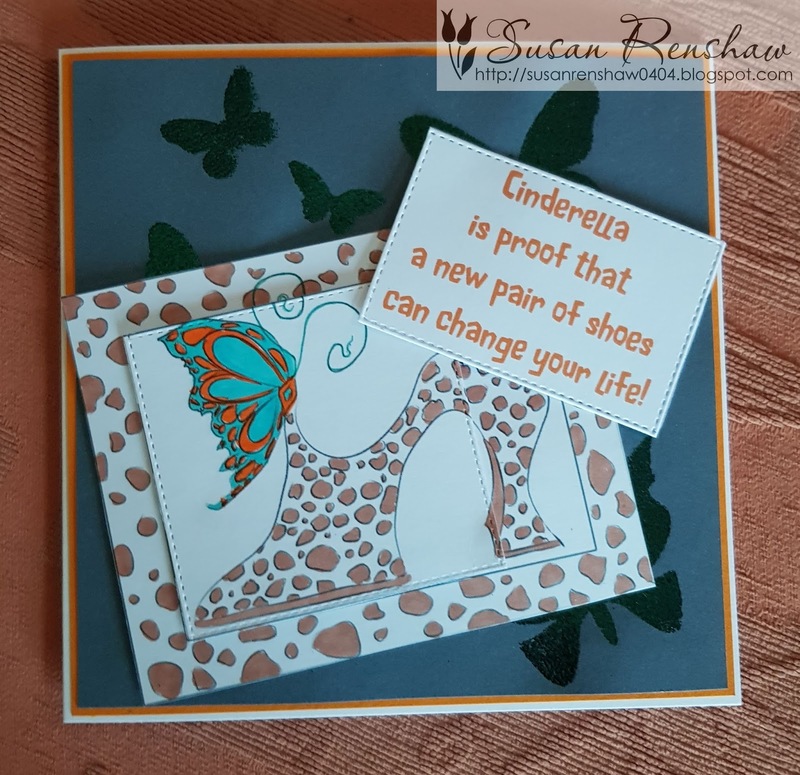 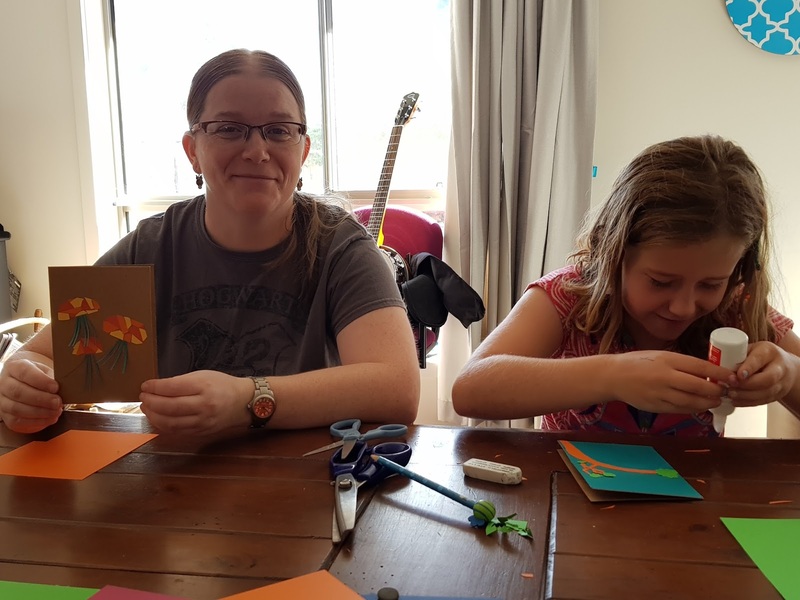 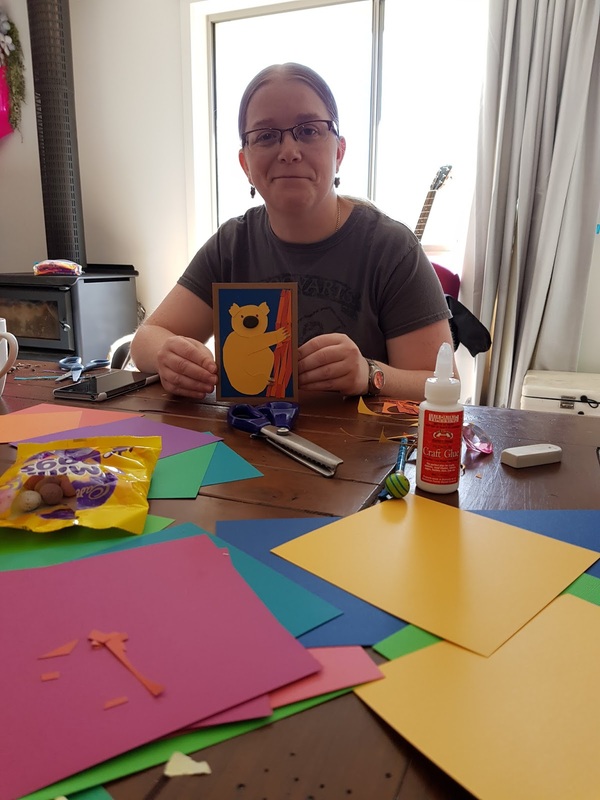 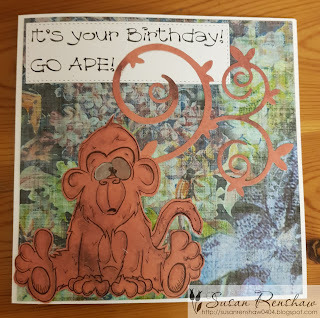 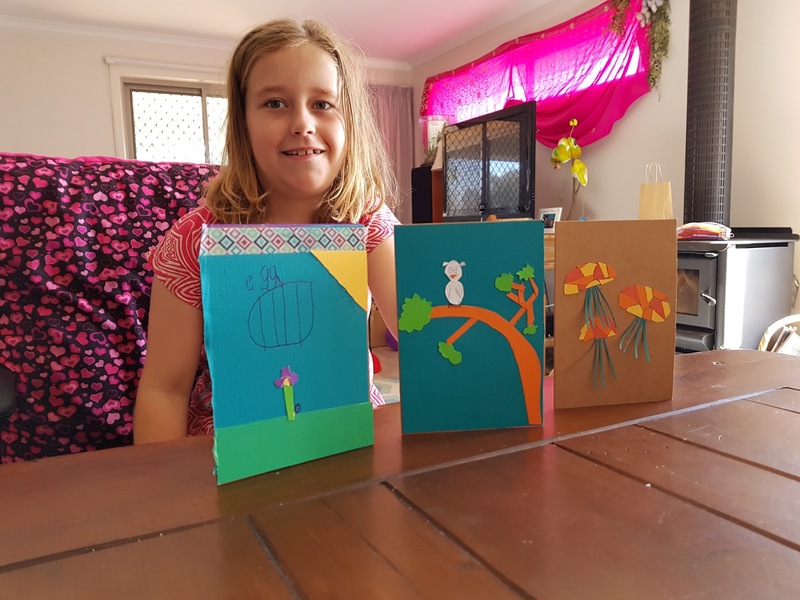 There is still a day to enter the competition to make a Birthday card using the freebie on the link. 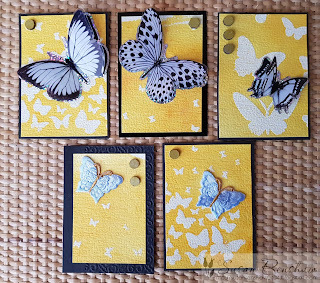 I started with a yellow card base and matted it with a paper from my stash. I printed the image on white and on another paper from my stash. 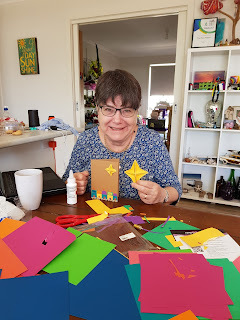 Happy Crafting and Happy Birthday Leigh! 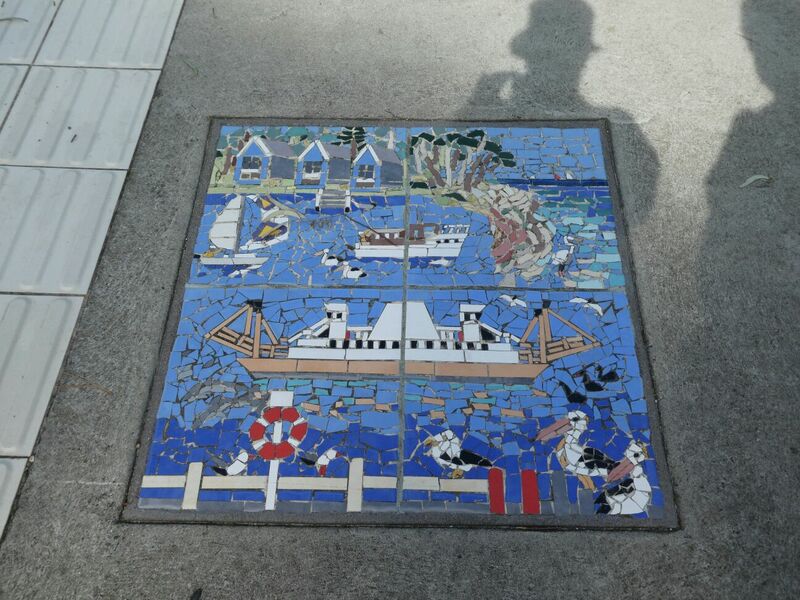 I have just been on holiday to Australia to see my family - my three sons all live in Victoria. 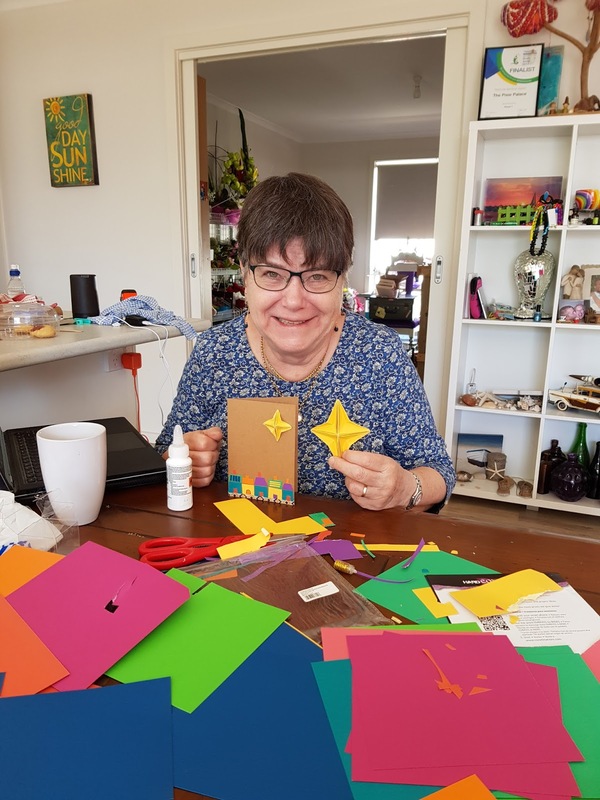 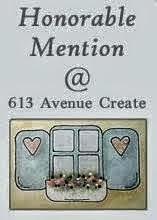 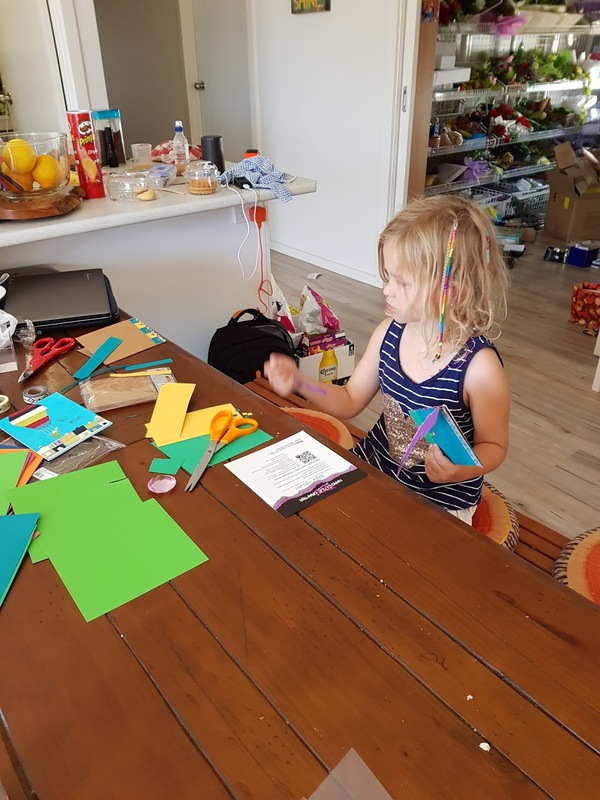 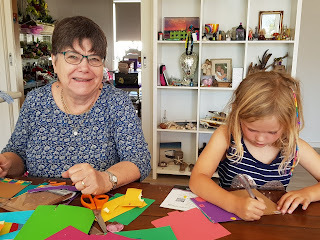 Anyway I usually do some crafting with my granddaughters who live near Paynesville. 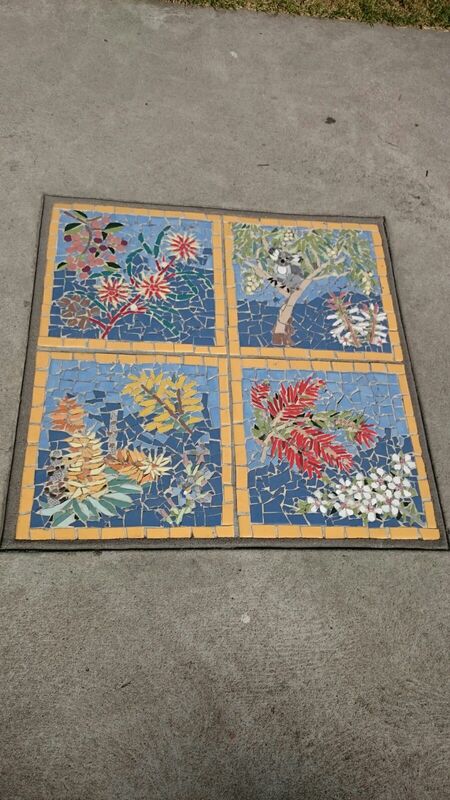 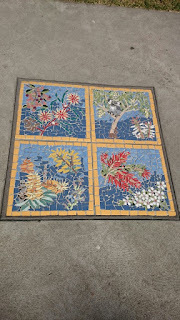 inspired by the mosaics on the Paynesville waterfront, and also cards that my daughter sent me from Cards from Africa. Basically we just had Kraft card bases, a pack of different coloured card, letter stickers and some washi tape. 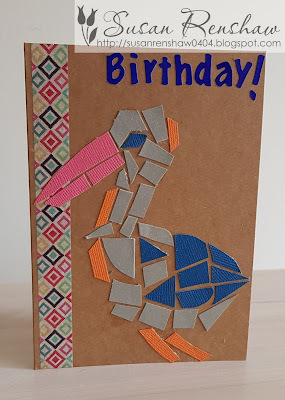 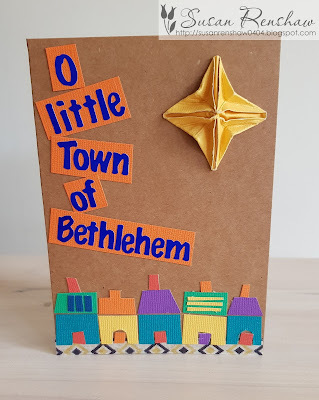 My card had a strip of washi across the bottom and then houses made of scraps of card. 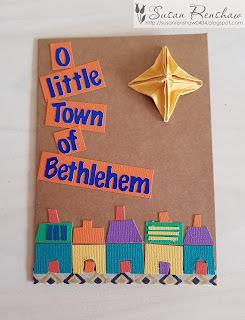 I folded an origami star and added the word with the stickers. 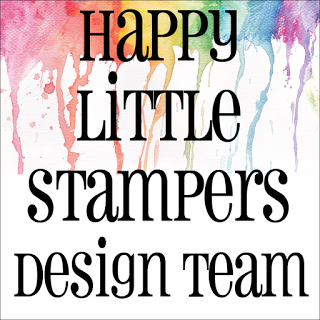 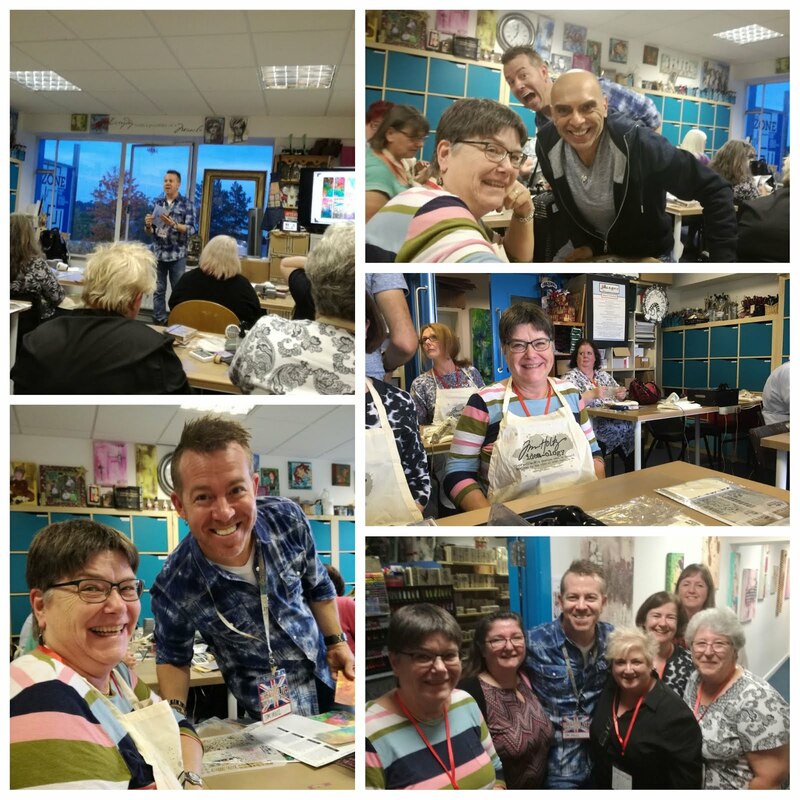 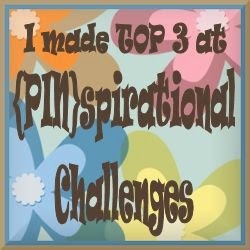 I intended adding this to Pixie's Snippets Challenge 324 but have only just realised I didn't add the link - no stamp or die, just snippets!